The upcoming AARP magazine names Wenatchee as one of the top five places in the country to retire. The magazine also suggests leaving the rocking chair behind because from skiing and swimming to walking and biking, it’s a place for active retirement. 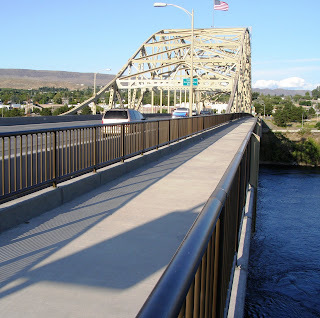 It was in 1950 that the new bridge across the Columbia River in south Wenatchee opened to traffic, but don’t tell the George Sellar Bridge it’s time to retire. At 61, it just got the first installment on its new $70 million lease on life! In 1950 2,000 people showed up for the ribbon cutting on the $2.3 million project and not one of them dreamed their new bridge would someday carry more than 50,000 vehicles a day. A lot has changed over six decades. The bridge is still sound, but getting on, off and across it was and is a challenge. Okay, worse than a challenge. 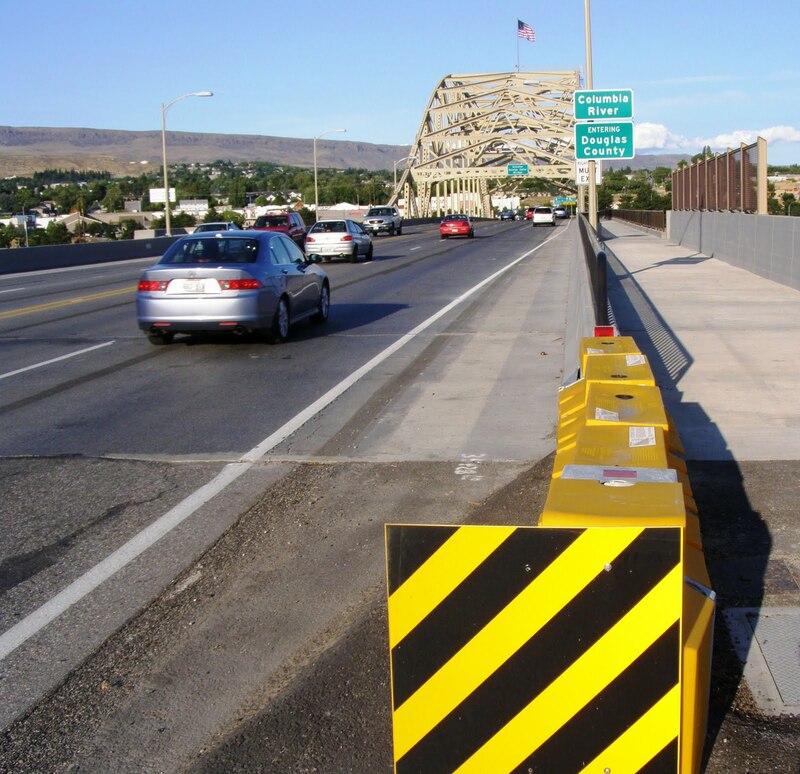 The access from either end gives Wenatchee Valley residents a taste of Seattle-style, stop-and-go traffic each morning and evening. The sidewalks provided the opportunity to inhale unburned hydrocarbons in addition to the excitement that came with having 40 mph traffic just inches from your elbow. In 2002, a five-year study attracted a little engineering money to start design work on projects to get traffic moving. Two years later, things got serious for the George Sellar Bridge. Skipping the politics – the result was funding for $70 million to fix both ends and the bridge itself. 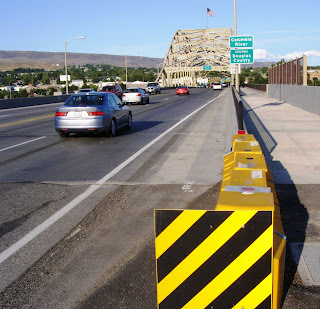 Adding an additional eastbound lane and building a new 10 foot concrete and steel cantilever bridge for bicycles and pedestrians turned out to be the logical first project to do so the east and west end improvements would have something to connect to. For a mere $18 million and 26 months of orange cones, the sidewalks came out, the bridge’s deck and superstructure were reinforced or rebuilt, and the new lane and pedestrian bridge came into existence. It wasn’t easy. The structure had to now handle the weight and traffic that comes with another lane and to deal with the torque of having a pedestrian bridge outside the superstructure on the south side of the bridge. The completion of this complex project on time and budget is a real tribute to our bridge office staff. They figured out not only how to rebuild the bridge in place, but how to keep it open through the entire project. That’s like having your mechanic rebuild your engine – while it’s running! I’ll be back next month with the second project which is starting on the east end of the bridge. It’s got some novel elements too – We’re going to use part of Fred Meyer’s elevated parking lot for a new road! It’s the lure of the open road, the boundless horizon, the discovery of a dusty, old-west town and …a convenient place to recharge your car? That’s right; road trips in Washington are going electric. In just six months a network of recharging stations along Washington’s Electric Highways – I-5 and US 2 to start – will break the range barrier for electric vehicles, making Canada-to-Oregon trips as easy as plugging in your laptop. More than 1,500 people in Washington already drive the latest generation of electric vehicles (EV), such as the Nissan LEAF and Chevrolet Volt, and markets indicate thousands more will be recharging instead of refueling in the years to come. So far, EV drivers have been limited to short hops of 40 to 50 miles in city traffic before having to recharge. With limited options for recharging on the road today, they typically charge their batteries overnight at home. Soon, EV drivers will be recharging on the way to Stevens Pass (on US 2) or while visiting Oregon or British Columbia (via I-5). California-based AeroVironment will supply the recharging equipment at nine locations to connect the EV grid in much of our state by Nov. 30. The stations will include DC fast-chargers, which fully charge any plug-in EV in less than a half hour, and Level 2 “medium-speed” chargers, a cheaper option that takes three to eight hours. “It's all about offering choices,” said Jeff Doyle, director of public-private partnerships here at WSDOT. “People are choosing electric because it costs about 2 cents per mile, compared to 12 cents or more with gasoline. Most people who want to invest in an electric car are waiting for convenient recharging." 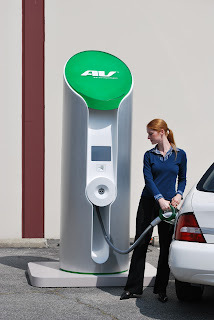 Doyle and his team looked at how EV drivers will fit recharging into their daily routine. They started scouting locations like malls, theaters, restaurants and large retail stores, where an EV driver might want to spend 30 minutes to a few hours while their car recharges. They visited storefronts with a simple proposal for business and property owners – they provide the real estate (a couple parking stalls, usually) and we will help pay for the charging equipment with a recently-awarded $1.32 million federal energy grant for innovative petroleum-reduction projects. Between Everett and Olympia, ECOtality will install additional charging stations through a federal program, The EV Project, administrated by the U.S. Department of Energy. Combined with Electric Highways, the two projects will connect Washington EV drivers along the entire 276 miles of I-5 between Canada and Oregon. Electric Highways in Washington eventually will connect with similar projects in Oregon and California to the form the West Coast Green Highway, 1,350 electrified miles on I-5 from Canada to Mexico, serving more than 2 million EVs anticipated in western states by the next decade. Just imagine driving from Vancouver, B.C., to the Baja Peninsula without ever filling a gas tank. Summer driving can hold hidden dangers for drivers. With the sweltering summer heat dominating weather reports, keeping vehicles running in top condition and taking a few simple precautions can help avoid serious safety and financial consequences. Sweltering Interiors: According to NHTSA, 27 children die from vehicle-related heat-strokes each year. Never leave children or pets in a vehicle unattended, temperatures can rise dangerously high in just a few minutes even with the windows cracked. Always lock your car and keep keys out of reach of children to avoid them playing in an unattended car and getting trapped. Also to avoid burns, use caution when entering a vehicle with dark interiors, especially leather, which can become too hot to even touch. Vehicle Over-heating: Check your car´s cooling system, engine hoses, drive belts and battery. This is especially important if you are planning to tow a boat or full load up a vehicle for a long trip. Tire Blowouts: Hot weather can cause air pressure inside the tire to expand, causing tires in poor condition to blowout. Keeping tires properly inflated and maintained is not only safe, but benefits fuel efficiency. To avoid inaccurate pressure readings due to the heat, try to inflate tires when they are at their coolest (usually when they’ve been parked for a while). Slick Spots: Summer rainstorms can create mini-oil slicks on the road. Extreme heat can causes oils deposited from vehicles to be absorbed, causing these slick spots when it rains. Poorly-packed Vehicles: Secure items to prevent dangerous shifting and/or dangerous flying debris while on the move. To ensure a safer load, check the vehicle’s payload capacity and do not overload the trunk or rear cargo compartment, and ensure any cargo top carriers are properly installed, closed and do not exceed recommended weight limits. Keep your Cool: Don’t let summer heat get the best of your temper, stay calm and keep your passengers and your safety in mind. Stay Connected, But Safely: Carry a cell phone and charger in case of emergency or breakdown. However, don’t use it while driving and avoid similar distractions! Also, consider taking a GPS navigation device to help you stay on course in unfamiliar areas but, don’t attempt to program it while driving. Pack Smart: Keep a basic emergency kit stocked in the event of a breakdown. Key components may include a cell phone charger, water, snacks, necessary medications, first aid supplies and portable cooling devices, such as battery-powered fans. Fill the Tank: A well-fueled car will keep you from being stranded with an empty tank and filling the tank at night will make for a cooler and less crowded task. Regular maintenance and safe driving are essential to keeping scorching temperatures from causing major driving disasters. Be sure to buckle up and stay safe this summer! If you don’t like being stopped by road construction flaggers several times in one trip across the mountains, consider alternate routes during US 12 work between Morton and Yakima. Travelers could save themselves a couple hours of delay this summer with a few minutes of trip planning. We are gearing up to stabilize slopes and repave worn-out sections of US 12 between Morton and Yakima. Starting August 1, from 7 a.m. to 7 p.m. on weekdays, traffic will have to stop and wait for pilot vehicles to lead them through up to four different work zones along 57 miles of US 12. For many, the scenic route along state routes 123 and 410 will be a pleasant way to avoid a lengthy delay. Though it adds 20 miles to the trip, these scenic byways wind through Mt. Rainier National Park, and its viewpoints are a bit more enjoyable than a flagger’s stop sign or the bumper of a vehicle ahead of you in the backup. Large commercial vehicles will have to take a different route, however, as they are prohibited in Mt. Rainier National Park. Truck drivers may choose to wait through the work zone delays, take I-90 across the Cascades, or use State Route 14 or Interstate 84 through the Columbia River Gorge to get to US 97 and Interstate 82. If your plans take you to some of the great little towns along US 12, never fear – you will still be able to get a cup of coffee or a milkshake, maybe even a new fishing lure, because businesses are open during construction. Just give yourself a little more travel time to get to your US 12 destinations. Crews are working this summer to smooth pavement on US 12 between Morton and Randle, remove old pavement and repave the highway over White Pass, and stabilize rock slopes just west of the pass. Construction on all three projects is scheduled for completion in October. Crews on all three projects will stop working by noon on Friday, Sept. 2, and start again on Tuesday, Sept. 6, to keep US 12 open Labor Day weekend. Curious about the US 2 trestle rehab? You probably are if you take it to work every day, especially driving westbound before 5 a.m. or after 7:30 p.m. Here is an insider’s look under the trestle to see what’s really happening during nighttime closures. The day before the first full nighttime closure of westbound US 2 trestle in Everett was our last chance to let drivers know about the project and what the upcoming closures would mean for their nighttime and early morning drives. It was also a big day for me: It was the day that I got to experience my first media event as a WSDOT communication intern. Not knowing what to expect, I followed cautiously behind my communication mentor. We arrived at the construction site about 9 a.m. and pulled into what looked like a gravel parking lot under the US 2 trestle. The only things in sight were a couple of houses, a long road, and a port-a-potty. This was not at all what I had expected for a media event. I expected to see something a little nicer – at least a portable for everyone to sit in. After getting a feel for the scene, we put on our hard hats and orange vests, and got to work. We immediately began to set up for the 10 a.m. event. We put up an informational sign, got our media packets ready and then began the waiting game. First to show up on the scene at 10 a.m. was project engineer Chad Brown, followed by several TV stations, including KOMO, KIRO, KING, and Q13. As TV stations arrived, Chad gave a brief description of the US 2 project to one station at a time. It was interesting to see the media interviewing process. The reporters made Chad repeat a statement over and over again in different situations, and took long segments of film of the surroundings called B-roll. The most amazing part of the filming and airing process for me was how quickly the media edits film in order to get it on the air. They started filming at 10 a.m. and aired the story just an hour or two later. It is amazing how quickly the camera crews work. I knew some of the process of film editing from touring a local news station, but I had never seen it happen right there on the truck and appear on television 30 minutes later. After his briefing, Chad took the reporters and camera crews over to a section of the bridge that had not been repaired yet. He showed how severe some of the cracks in the girders had become and why this was a necessary project to extend the life of the bridge. Needless to say, camera crews and reporters were awestruck by the size of some of the cracks. I had seen cracks like that before when driving near bridges and not thought anything of them. Little did I know, the cracks can be potentially fatal for bridges, especially in an earthquake. Then came the true behind-the-scenes part of the tour: Chad took the camera crews up to the work platforms under the bridge to explain the construction process. He described, in detail, what construction workers were doing to the nearly 850 girders: chip away the cracked and damaged concrete from the steel rods within the girders, place new cement over the exposed steel to reshape the girders, and finally apply carbon fiber mesh on the underside of all girders, damaged or not. The carbon fiber will help prevent any further cracking. The workspace under the bridge is less than appealing for anyone taller than four feet. Even I, standing at 5’4’’ and probably the shortest person there, had to crouch down to move through the workspace. Some of the camera men had to test their agility while filming under the low girders and carrying their heavy cameras. Being under the bridge gave reporters and camera crews an idea of exactly why full closures are necessary. Every time a car drove over the trestle, the bridge shook, which, in turn, shook me, the camera crews, Chad, and the cameras while we were on the work platform. We never felt we were in any danger from the bridge trembling, but it was much easier to see why the trestle needs to be closed when crews place the concrete and carbon fiber. The mortar and fiber won’t set properly if there are any vibrations – and every time a vehicle passed, we were all trying to keep our balance. Most drivers know that 65 nighttime closures are planned during weeknights this summer from 7:30 p.m. to 5 a.m., but have wondered why they need to last so long. Crews need the full nine-and-a-half hour closure time to finish necessary work each night and give the mortar and carbon fiber enough time to set properly. Once the damaged concrete is chipped away from the girders and the new mortar is applied, it needs approximately two to three hours to set and reach a strength that allows cars to drive on the bridge again. The epoxy, a hardening and adhesive chemical, used to apply the carbon fiber mesh takes about four hours to reach the strength that cars can drive on the bridge. Crews need every minute of those nine-and-a-half hours each night to get the work done. For more information about this project, visit the project website or to see more pictures throughout the construction project, visit our Flickr site. The days of wondering how long it’s going to take to travel on Interstate 90 over Snoqualmie Pass are now over. In June, we unveiled three signs providing travel times for drivers traveling between North Bend and Ellensburg. The signs, located on eastbound I-90 at milepost 33 and westbound I-90 at milepost 107 and milepost 87, show the current travel time for the 74-mile stretch of the freeway. 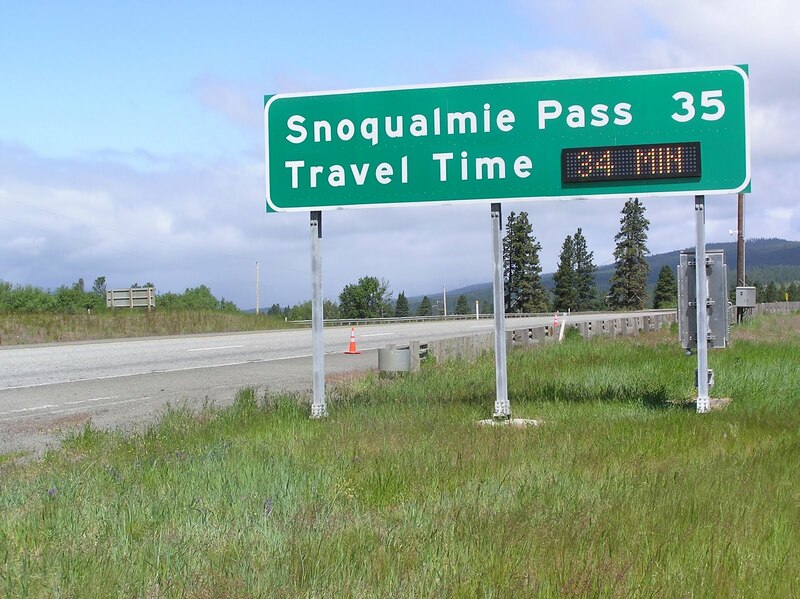 So how can drivers use these signs to help them plan their trip over Snoqualmie Pass? 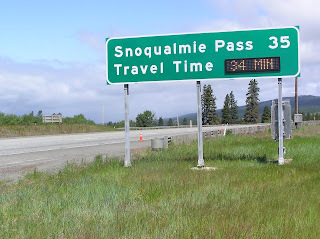 Well, when traffic is moving at the posted speed limit or faster and there are no collisions, construction or weather-related delays the minutes shown on the signs will closely match the miles it takes to reach Snoqualmie Pass. However, when delays can add extra time to drivers’ trips the signs will display the added time it will take to get over the pass. The travel time signs are another tool we are using to aid drivers when it comes to planning their trips over the pass. Drivers will now know whether they are likely to reach their destination on time or whether the trip will take longer than expected. Drivers can also use the signs to make decisions about whether to stop for gas, get food, take a break or continue on. The signs will trigger drivers to tune into 1610 AM on the radio or have their passengers check the Mountain Pass Web page on their smartphone for more information about current conditions. If you haven’t already heard, construction on the I-90 Hyak to Keechelus Dam project is in full swing and will be for the next six years. Drivers who regularly commute over the pass can use the new signs to find out how long it may take to get to or from work when closures are in place. Currently, the times displayed on the signs are provided by a data contractor, INRIX, Inc. of Kirkland, who provides real-time traffic data. We use this data to broadcast travel times on signs eastbound in North Bend and westbound in Ellensburg and Cle Elum. Later this summer, roadway sensors, which count vehicles and detect speeds, will be incorporated into the data provided by INRIX to give drivers an even more accurate picture of how long it’s going to take to get across the pass. If you’ve been to an game or event at Seattle’s stadiums in the last year, there’s a good chance you got there by car, foot or bike using some part of our State Route 519 Intermodal Access project. 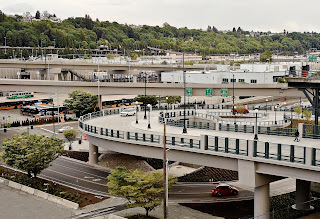 If you drove in on I-5 or I-90 you likely took the new exit to Edgar Martinez Drive S. If you took the train or bus, you probably walked to Safeco Field using the S. Royal Brougham Way Bridge. You may have strolled through one of the new plazas, rode in one of the new bike lanes, or used one of the new turn lanes at First and Atlantic. 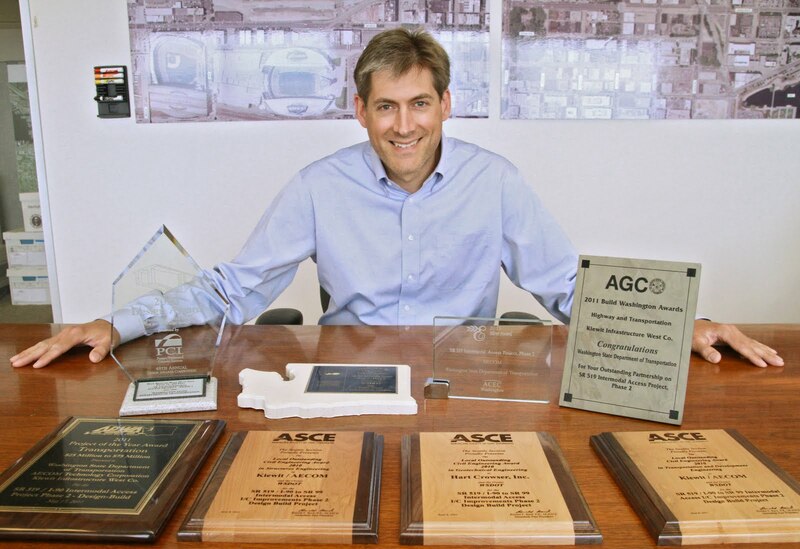 We can now proudly say that you have been driving, biking or walking on a multiple award-winning blockbuster of a project – the transportation infrastructure equivalent of Ben Hur, Titanic or Lord of the Rings (the films that share the record for most Academy Awards, with 11 each). 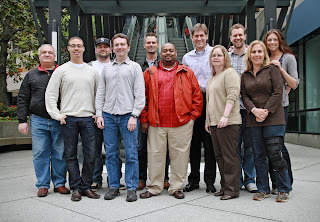 This year the SR 519 project team has earned nine construction and engineering awards and will hear about a possible tenth award later this summer. Impressively, two of the nine awards were at the national level. SR 519 Project Manager David Sowers said the awards would not have been possible without the hard work and dedication of the WSDOT team that worked on the project during design and construction. 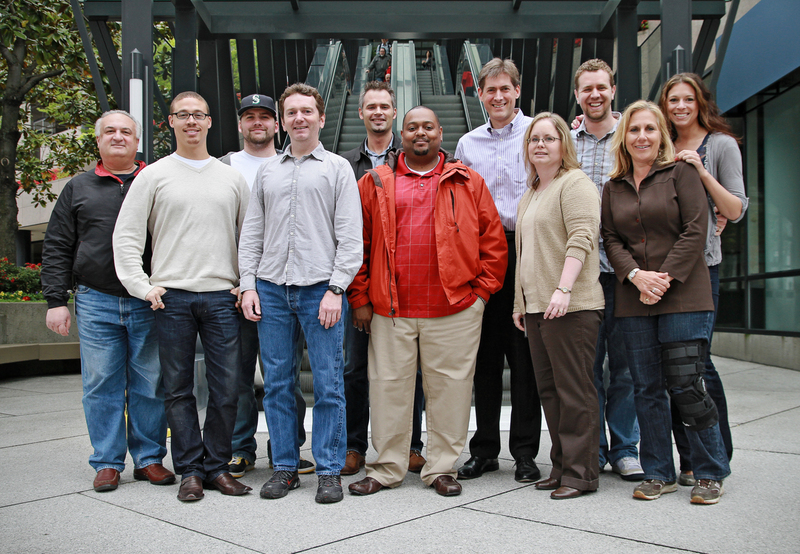 Most of the members of that team are bringing their award-winning talents to various elements of the Alaskan Way Viaduct Replacement Program. That includes Sowers, who is the Geotechnical and Utility Engineer for the proposed SR 99 Bored Tunnel. But a year later Sowers has one last problem to solve on the SR 519 project. Sure, it’s not as challenging as trying to build a large project sandwiched between two stadiums and split in half by one of the busiest freight crossings in the country, but he still hasn’t figured it out. What on earth does he do with nine awards? Buy a display case? Put them on the window sill? Give them to members of the project team? Right now they’re sitting unceremoniously on a bookcase in his office. If you have any ideas, let us know. He could use the help. View the SR 519 photo collection on flickr. This month, we kicked off work on a project that drivers and residents have been anticipating for nearly two decades: Widening a four-mile stretch of SR 522 in Monroe. The SR 522 Snohomish River to US 2 widening project was first identified as a potential improvement project in the early 1990s. After years of design and the investments that came with the Nickel funding package, crews are finally turning ground. 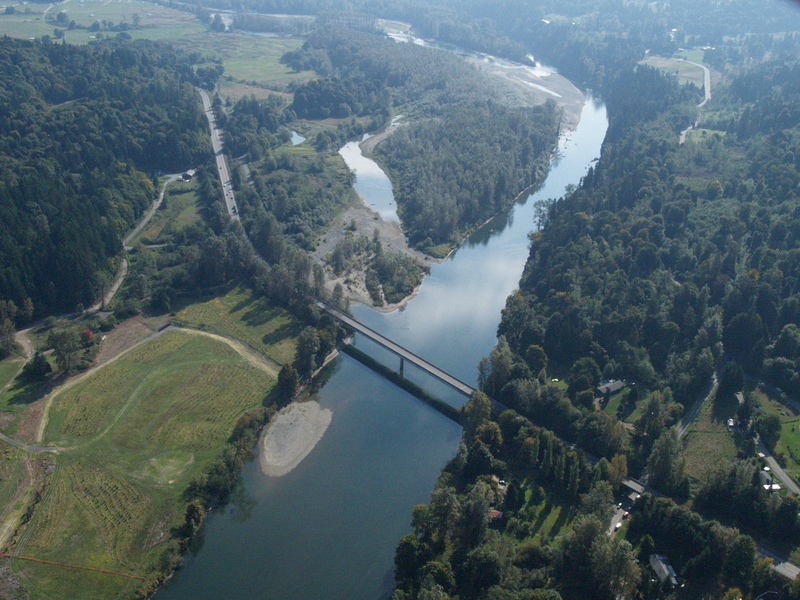 The project is huge in scope: Crews will construct more than four miles of new lanes, blast and remove 300,000 cubic yards of rock, and build four new bridges – including a 1,700-foot bridge over the Snohomish River. Crews will also add a new lane in each direction, place concrete median barrier to separate oncoming traffic, build a roundabout at the busy 164th Street SE interchange, and construct a noise wall and a wildlife crossing. Not only is the project physically big, it’s also the second largest (in terms of total investment) and second-to-last Nickel project to go to construction in Snohomish County. The massive project will take almost four years to complete, wrapping up in late 2014. And drivers will need to stay in the loop to avoid frustration and unwanted delays. Crews have already begun closing lanes on SR 522 at night to set up the work zone. 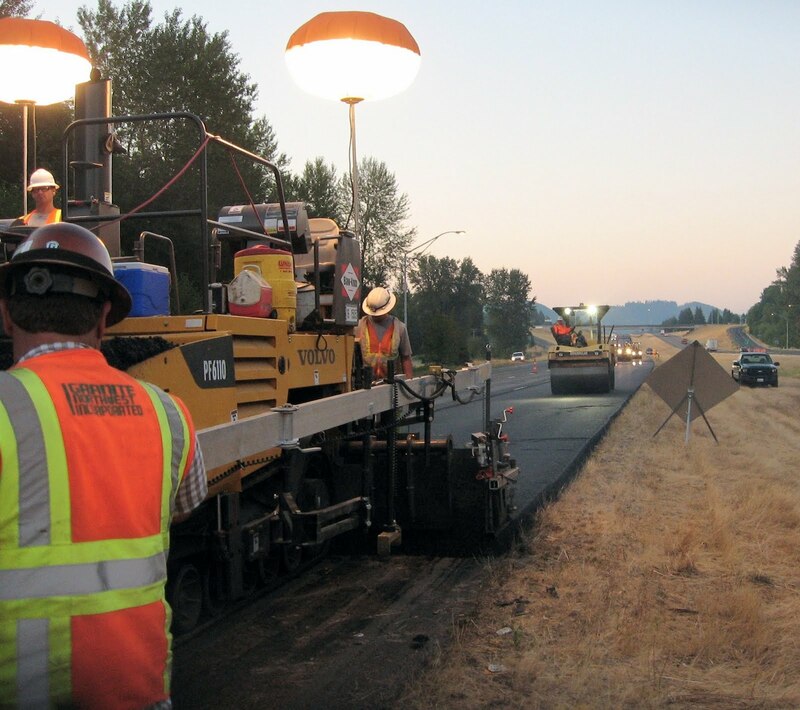 Those nighttime closures – as well as closures of side streets near SR 522 – will continue throughout construction. This fall, however, is when the real closures will get under way. To make room for the new lanes, crews will blast and remove 300,000 cubic yards of rock west of the highway. That’s about 25,000 dump-truck-loads of rock! We’ll close lanes during the day to keep our workers safe during the blasting work and to avoid detouring drivers through other construction zones in the area. Closures will take place on weekdays between 10:15 and 11:15 a.m. and are expected to start in September. Check Your Emotions at the Door … of Your Car. Being overly emotional, whether sad, glad or mad, can cloud your ability to focus on driving. Learn how to let things go on the road. Don’t let another driver’s bad behavior get the better of you. Remember when the windows are down, others can both see and hear you. Share the Road and Parking Lots. There is plenty of pavement for everyone, so don’t crowd other cars, bikers or pedestrians. Use your signals and avoid abrupt starts and stops, no one enjoys those kinds of surprises. Go slow and be alert in parking areas, distracted by hot leather seats and oppressive humidity drivers and pedestrians may not watch for you. They are the law, not the suggestion. The road is not the place to make up time if you’re running late. If a car wants to pass, let them. Don’t get offended if you’re passed by a faster moving car—they’re breaking the law, not you. Keep traffic moving in intersections. If your entire vehicle can’t make it before the light changes, then wait out the light. Stay behind the crosswalk—both pedestrians and drivers traveling in the opposite direction will thank you. If any of these tendencies struck a chord, go online and take our quiz to find out if you could use a bit more courtesy in the car. Just imagine how many traffic accidents could be prevented and how many lives could be saved if all motorists embodied a more summery and relaxed, easy-going attitude behind the wheel. Today I had the pleasure to present at the annual National Summit for Rural Traffic Safety Culture in Big Sky, Montana, alongside many of our friends and colleagues in the traffic safety industry. Together at this Summit we continue our quest to advance the goal of zero deaths on rural roadways. While there’s been much to celebrate in recent years with a steady decline in roadway fatalities and injuries, losing even one life to a preventable incident is unacceptable. Utilizing research—past, present and future—on the causes of traffic crashes, how to prevent them and how to minimize injuries when they occur, the Foundation helps to reframe the debate on the need for traffic safety improvements as a public health issue. We hope to bring the conversation back to our founding goal of saving lives and reducing injuries on the roads by finding out what is motivates current attitudes and tendencies toward unsafe driving behaviors. We understand that the true key to saving further lives lies in transforming the culture around driving. In addition to road and vehicle improvements, challenges remain that can be overcome with a shift in the traffic safety culture, especially in rural areas with issues such as seat belt usage, distraction and impaired driving. Similar to past cultural crusades against smoking and drunk driving, two epidemics once considered socially acceptable that now bear the stigma of poor judgment and lack of respect for oneself and others, there needs to be revitalization in the idea that engaging in dangerous behaviors behind the wheel is inherently wrong and socially irresponsible. This will not happen overnight, and there is no one-size-fits-all solution. But, with continued rigorous pursuit of this goal with our friends and colleagues in the traffic safety industry as well as campaigns like the Decade of Action, we are confident that the culture of complacency and ‘do as I say, not as I do’ attitude can be overcome. In the paving industry, hot mix asphalt (HMA) has set the standard for building high quality, long-lasting asphalt driving surfaces. HMA goes down steaming hot and is spread in a thick black coating to preserve and transform cracked, rutted roads into smooth driving surfaces. We use millions of tons every year to maintain thousands of miles of asphalt-paved highways, ramps and bridges across the state. HMA may become a thing of the past, though, as we start using lower-temperature warm mix asphalt (WMA) in a greener approach to paving. Asphalt mixes are usually manufactured at hot temperatures because the adhesives that make the asphalt stick to the roadway needs heat to stay pliant. WMA is heated anywhere from 35 to 100 degrees cooler than HMA. To keep it malleable at lower temperatures, a special lubricant is added at the asphalt plant, sort of like adding canola oil to butter to make it spreadable. In national and WSDOT studies, WMA appears to holds up just as well under traffic as HMA. We’re continuing tests to see if WMA will have the same life as HMA, which typically lasts about 15 years before it needs resurfaced. So far, all signs point to WMA being just as durable. There are a lot of financial and environmental reasons to use WMA, and there’s something in it for drivers as well. WMA cools more quickly, which means crews can open lanes and put traffic on the new pavement faster than with HMA. Drivers will get a first-hand look at this during the I-5, Interstate Bridge to 39th Street paving project this summer. Crews on this project plan to use WMA to pave more than four miles of deteriorating pavement on I-5 in Vancouver. They began night time double-lane closures on July 5 to perform utility work. Paving work with continued night time lane closures begins next week. With WMA, the closures on I-5 may be shorter in duration and crews should be able to get more paving completed each night than with HMA. See a plane falling out of the sky on I-5 near Smokey Point? We might be able to explain why. So you’re driving on I-5 enjoying an usual blue-sky day. All of a sudden you approach the Smokey Point exit near Arlington and see a plane shoot up straight into the air, stall, then spiral toward the ground leaving a trail of thick white smoke behind. Sounds alarming, doesn’t it? If this happens between July 6 – 10 it is likely one of the many air shows scheduled to take place as part of the annual Arlington Fly-In. The fly-in is the third largest in the nation, attracting thousands of people to the Arlington Airport year after year. Along with the air show, visitors can enjoy airplane rides, displays, workshops, vendors, food and family-friendly movies every night at dusk. Drivers may experience increased congestion in the Smokey Point area, especially along 172nd Street. And, if you are already at the fly-in, stop by our Aviation office located in the same building as the Arlington Airport Office to pick up an airport reference guide, register your aircraft, or learn what we are doing to help preserve the state’s system of 138 public use airports. Cracks in concrete, are they safe? Have you ever seen a crack in a cement bridge and thought, “That can’t be safe?” Well, that crack you are looking at may be cosmetic and nothing to worry about. 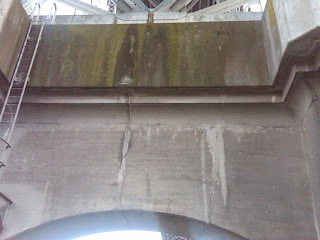 This is a crack on the Aurora Bridge facing Fremont. The picture was sent to us in early May by a concerned citizen wondering if the cracks concerned us. The answer is no. 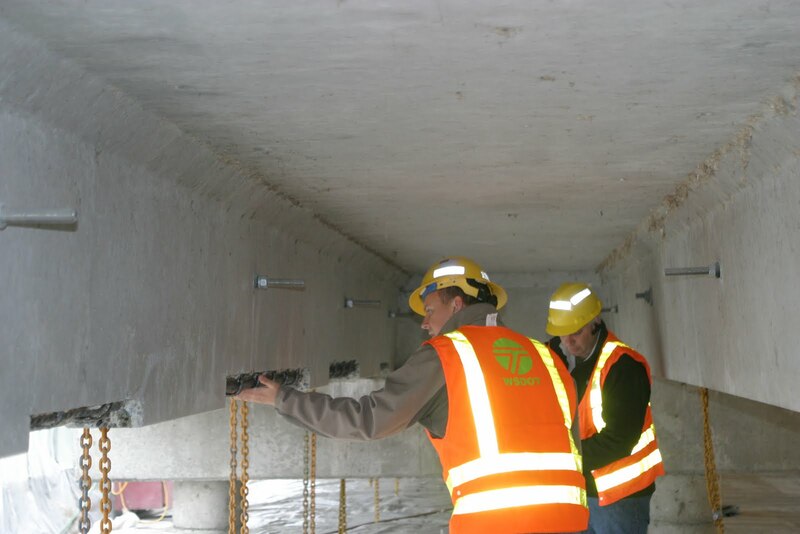 Our bridge inspectors examine bridges every two years or more depending on structural issues or the age of the bridges. The inspectors noted these cracks in their most recent routine bridge inspection report on Aug. 1, 2010. Cement bridges have many reinforcing features to help keep them standing, such as steel bars that run through the concrete. These bars help to increase the strength and durability of the bridge. 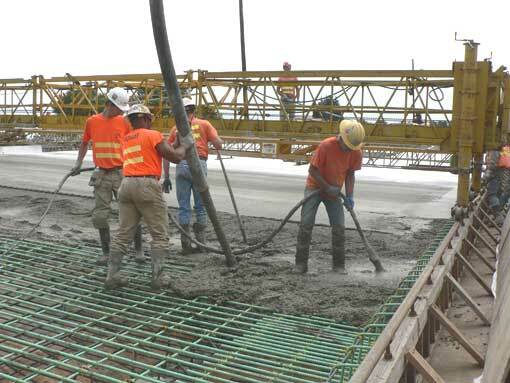 They also have contraction joints, which are grooves in the concrete slabs that help control where cracks occur. The cracks in the Aurora Bridge were considered cosmetic, and were likely caused by shrinkage in the concrete from moisture in the air and changes in temperature. Cosmetic cracking due to weather is expected in all cement bridges. This is why cement structures are reinforced with contraction joints, so that the cracks that do occur are in predictable, safe locations. Our engineers are experts on determining whether a crack is structural or cosmetic, but how can you tell? 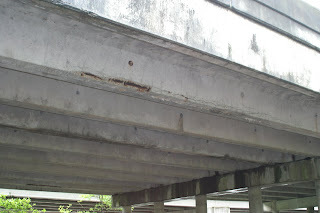 Structural cracks generally occur at locations where the stresses on the bridge cause the reinforcing steel inside the cement to stretch to the point where the concrete cracks. This occurs mostly at high-stress areas in the middle and ends of beams. If a structural crack does occur, it needs to be repaired immediately. Cosmetic cracks are usually very thin, one-sixteenth of an inch or less, and occur in low- stress areas of bridge support beams. They can become structural over time as water and air reach the reinforcing steel inside the concrete. Once the cracking reaches the steel, it’s considered a structural crack. Structural cracks are typically larger than cosmetic cracks and can cause the steel to rust and corrode. The rust and corrosion takes up more space than the original steel reinforcement. This can put unwanted pressure on the concrete and cause it to crack. According to bridge engineer Craig Yasuda, cracks occur in every cement bridge. During bridge inspections, engineers look at the size and the width of cracks on the beams of bridges and if the cracks are in areas of high stress. The Aurora Bridge gets inspected at least every two years. Last year it was inspected after one year due to some retrofit work. Some older bridges or bridges with structural issues are inspected even more frequently. 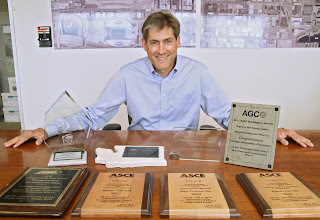 We are a national leader in bridge inspections and maintenance. There are roughly 7,000 bridges in the state that we inspect biennially. The bridge program emphasizes cost-effective preservation programs that increase the life-expectancy of bridges and make them safer. 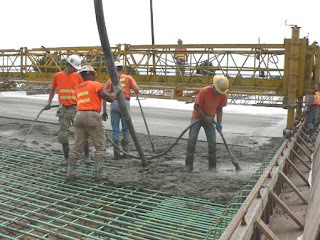 Some of our bridge programs include bridge replacement and rehabilitation work; seismic retrofit work to strength bridges to withstand earthquakes; and bridge foundation scour mitigation to repair areas beneath bridge support pilings that have been washed away by water. We have 56 trained engineers and technicians who perform bridge inspections, including specialized dive teams and mechanical and electrical inspectors. 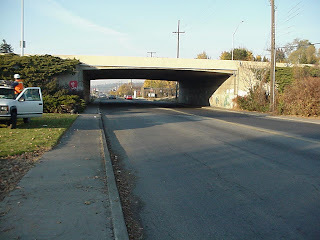 In 2010, we inspected 1,963 bridges, and 1,859 are scheduled for inspection in 2011. When asked what makes the our bridge inspection program so great, Yasuda said, “It’s because we inspect our bridges on time.” He also said that we have an excellent bridge maintenance program that helps keep the bridges clean and alerts the bridge team if there is anything wrong with a bridge in between inspections. So, if you see a crack on a bridge, don’t worry. Our bridge engineers have got a handle on it. For any other information or concerns about bridges or the inspection program, visit www.wsdot.wa.gov/Bridge/Reporting/. No delays on Snoqualmie? Okay, what's the punchline. When I heard this earlier today from my colleague Mike in Union Gap, I was a bit skeptical. No backups on I-90, on a holiday weekend? In the summer? He had to be kidding. Well, it’s true – compared to the three-day weekend in 2010, I-90 travel was down, but just a tiny bit. This year, we counted 200,810 vehicles both directions over Snoqualmie Pass, down 2,894 from last year. That’s only 1.4 percent. It wasn’t that slim decrease that kept traffic moving all weekend. For the story, you need to check out what happened Sunday and Monday. On Sunday, we counted 36,491 vehicles over I-90, a 23.7 percent increase from 2010. Then, on Monday, there were only 34,474 going over the pass, a 30.2 percent decrease. So, how did that help? And more importantly, how did that happen? First, that helped because when you split traffic between two days (rather than everyone travelling the same day) you get what we saw on I-90 this weekend– no backups or delays. Half the people went Sunday and the other half Monday (more or less). As for how it happened – I’d like to think it’s because all the drivers used our travel graphs. Ya’ll did, right? But if not, if there’s some reservation system for who gets to drive when, will you let me know where to find it? I want to get my spot for Labor Day. As for the other locations we track, our projections were pretty close. The traffic on I-5 near the Canadian border was up just a bit from 2010, about 7 percent. It must have been those Canada Day revelers. They may have then made their way over US 2 to Stevens Pass, as this route was also up 7 percent. One place that did see a decrease was I-5 between Tacoma and Olympia. South Sound travel was down 3 percent, right about what AAA predicted. You might be surprised to learn, as you’re piling the family in the car to head to that Fourth of July barbecue, ballgame, picnic or firework display, that Independence Day is the single deadliest day for traffic fatalities across the county. According to new AAA Foundation analysis of data from the National Highway Traffic Safety Administration, between 2000 and 2009 more people lost their lives in traffic accidents on July 4th than any other day of the year. As if that wasn’t bad enough, it also was shown to be the second deadliest day for drunk driving deaths, second only to New Year’s Day. An average of 40% of traffic fatalities on July 4th in that same 10-year period involved a driver with a blood alcohol concentration over the legal limit (.08 or higher). Drunk drivers put everyone on the road in danger and these numbers are a frightening reminder of how easily a holiday celebration can turn to tragedy. That's why the AAA Foundation and AAA are urging motorists everywhere to visit TakeThePledge.AAA.com to sign a quick online pledge to drive only while drug and alcohol-free this holiday weekend and all year long. Once you’ve taken the free pledge, you can share it via Facebook and Twitter, or even send personalized E-cards to encourage others to do the same. Staying safe and sober will help ensure the only red, white and blue lights filling the sky are from fireworks, not emergency vehicles. o Plan ahead and designate a driver if you’re planning on drinking at a party. o Use alternative transportation like taxi cabs or public transit to get to and from an event. o Keep track of how many drinks you’ve had and how quickly you’ve consumed them. o Eat while you drink, specifically high protein foods like meats and cheeses that stay in the stomach longer, thereby slowing the body’s alcohol absorption rate. o Use non-carbonated mixers, as the body absorbs alcohol faster when mixed with carbonization. o Have non-alcoholic beverage options available. o Keep the alcohol consumption under control by designating a bartender to mix the drinks. o Never serve anyone underage. o NEVER allow an impaired friend or guest to get behind the wheel. o Step up and offer to call your friend a cab, let them sleep it off or find a sober friend to give them a ride. Following these tips will help ensure your Fourth of July celebration is a safe one. On behalf of the AAA family, I hope you all have a wonderful and safe holiday weekend!! that will be resurfaced in this project. What happens when you squeeze more than 100,000 vehicles a day into just two lanes in each direction of freeway? Drivers on Interstate 90 in Spokane, just east of the downtown area, will find out on Monday, July 11, when crews give two freeway bridges some much-needed repairs and resurfacing. We last refurbished these two bridges in 1984. Since then, the daily pounding of about 110,000 vehicles has taken its toll, and the two spans need some extra attention. Contractor crews will remove the asphalt surface and repair the underlying concrete bridge deck and approach slabs on the Altamont Street and Havana Street structures on the busiest segment of I-90 in Eastern Washington. The 24 hours-per-day lane restrictions will remain in place until the project’s completion. So what are we doing to keep traffic moving? It’s a tough challenge to keep traffic flowing and reduce the potential for collisions. Our traffic engineers took a real close look at how to manage the through traffic, while making room for people to get on and off the freeway, and found it just didn’t add up. So to keep I-90 from total gridlock, we’re reducing I-90’s four lanes to only two lanes of traffic in the 1.4-mile section between the two bridges, and closing several on and off ramps. Because many drivers will choose to use Second and Third as alternate routes, closing the on and off ramps will keep vehicles from causing collisions while trying to get on the freeway and traffic trying to get off the freeway from backing up into the mainline. A project diagram with specific lane and ramp closure information is available on the Spokane Freeway Fix website. West Company, Inc. of Airway Heights is the prime contractor for this $1.7 million project. To get the job done as quickly as possible and minimize the traffic headaches for drivers, their crews will be working 24-hours a day Monday through Saturday. The contract includes a bonus if the contractor finishes the work ahead of schedule. We also have a major project on the Sunset Hill to the west of downtown Spokane and a freeway widening project east of Spokane near Liberty Lake. We want everyone to get home safely, so please be extra careful when you are in the “cone zone” and watch for reduced speed limit signs on some of these jobs.